If you are an attentive reader, and once in a while dare to take a look at the sidebar of this wee blog, you will have seen the Kickstarter widget. You also might have seen the Ultralight A-Z Title, remembered that I had something along those lines planed during winter, and connected the dots. Which would have lead you to visiting the Kickstarter Project page, hit play on the now conveniently up here embedded video, and watched my pitch. By the end of the two minute video I hopefully would have had you so far that you'd say "Hell yeah, I want swag and see Hendrik do this!" You would have hit the green "Back This Project" button, decided what kind of reward you'd like - a DVD and T-Shirt, Stickers, or a HD Download - and made your pledge. I would have been very happy to get your support, and we would together make this series a reality. - "What is Kickstarter?" => Answer. - "What does he need the money for?" => A new yacht in Papua New-Guinea (That's me being sarcastic. Read the Project page!). - "What are the topics?" => Life is like a chocolate box, you never know what you're going to get. And hence I keep the cards close to my chest and put on my pokerface. Honestly, I think the Kickstarter Project page and the video say it all. If you have questions, comments, observations, please feel free to comment away here or on Kickstarter. I'd love to make this series for all of us, though I do need your support to make it a reality. 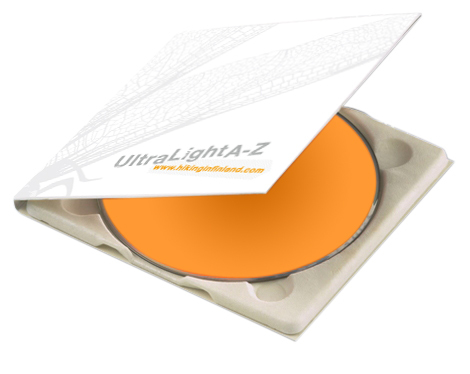 Any amount pledged helps to reach the goal, and only if the goal is reached, Ultralight A-Z will become a reality.